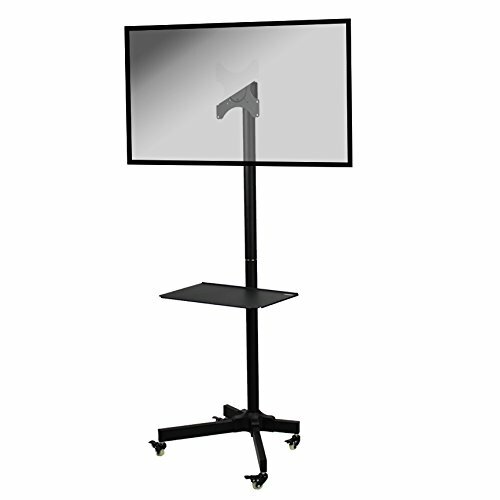 This NavePoint mobile TV cart is the perfect solution for your conference room, classroom, or home. Low profile rear casters make corner storage easy and the adjustable height component shelf is perfect for any application. Height adjustable, 15 degrees up or down tilt, and full 360 degree rotation for perfect positioning. Perfect for any TV between 19 - 37 Inches. Mounts most 19 - 37" TVs.